It seems quite strange actually writing a payday wishlist post on an actual payday – normally I’ll write the post a few days before and then by the time payday has arrived I’ve completely changed my mind. However considering I feel skint since IMATS even though I’ve saved up all year for it and spent within budget (for once), I feel like I need to clamp my spending down this month. 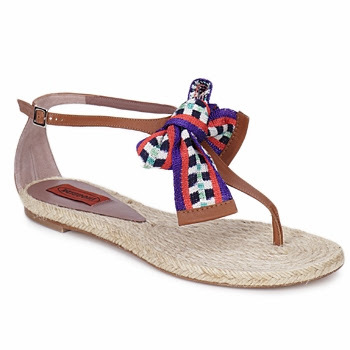 Even though its currently chucking it down, literally bouncing off the ground (wellies would be more apt footwear) I’ve decided that I need to splurge on these Missioni Sandals for when the sun comes out (and for my holidays). If you’re a regular reader of the blog you will know how much I love Missoni Shoes and I’ve recently done a post (link) about what shoes in the range I’m obsessed with and I just love these sandals. They’re dressy enough for a night out (when you’re abroad, FYI, not at home), however can add that extra bit of something (you know what I mean) to plain jeans and a tee for shopping. I feel like I’m officially acting like a grown up and trying to “invest” my money in more classic pieces. Is this something which you do, hopefully I’m not the only one….